A teacher in a Sunday school program is a valuable asset in a child’s spiritual formation. 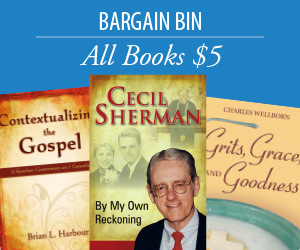 Much of what they do lays the foundation for a child’s growth in the Christian faith and life. They are a vital resource to children and their parents. What they do during this crucial Sunday morning time truly matters. Help! I Teach Children’s Sunday School is an aid book for these special teachers of infants through sixth graders. 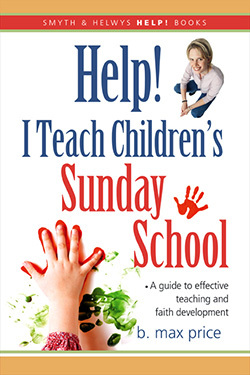 This guidebook to teaching excellence in the Sunday school will be a help to beginning and experienced teachers alike. B. Max Price received his M. Div. from Southwestern Baptist Seminary and his Ph.D. in Counseling Psychology from the University of Oklahoma, Norman. He has been in group private practice of psychology in Oklahoma City since 1977. His specialty is child psychology. He and wife Geri have two children, Tracey and Todd, and four grandchildren. Max Price has provided a much-needed resource for teachers and children from birth through 12 years old. The content is based on sound principles of child growth and learning. Every teacher and parent will be drawn to this book.